Later this year, staff and inmates from the aging Windsor Jail will be relocated to the newly constructed, and more environmentally sustainable, South West Detention Centre (SWDC). 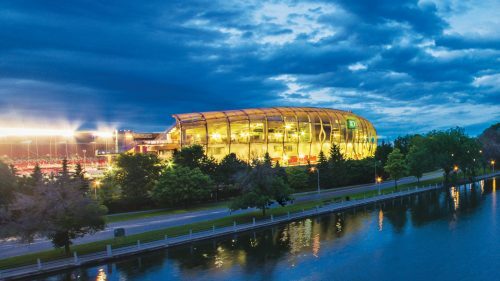 Pomerleau, which spearheaded the Landsdowne Park revitalization project in Ottawa, Ont., has acquired the majority assets of Giffels Westpro to increase its national scope. Canadian construction firm Pomerleau signed an ‘asset purchase agreement’ to acquire most of the assets and projects of Giffels Westpro in Vancouver, Calgary, Toronto, Ottawa, and Montréal. Once the transaction is complete, Pomerleau will increase its project backlog by more than $200 million and will take on Giffels projects from coast-to-coast. Some of Giffels’ recent projects include an energy centre and operations and maintenance facility for the Canada Line in Vancouver, and civil works for the Forrest Kerr hydroelectric project in Northern British Columbia. Lets hope part of the business strategy for Pomerleau includes paying the subtrades. I can’t imagine the Pomerleau family sleeping at night knowing the anguish they cause the people they steal from to achieve their goals. Perhaps one day they will realize that it is the subtrades they need to rely on that make them successful.